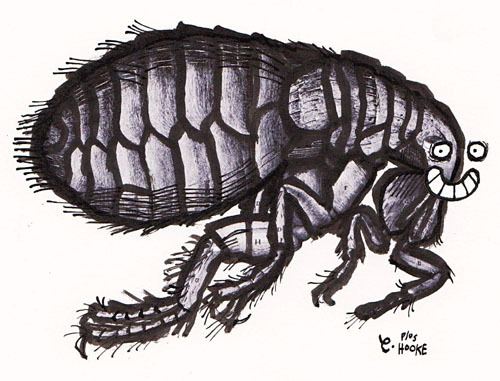 At every primary school there were kids who had fleas. If you touched them, you would have fleas. The only way to get rid of the fleas would be to use a spray of flea spray from an invisible can of flea spray. In many ways, your entire social status was very much dependent on enough people in your social circle liking you enough to disinfect you. Because otherwise you'd have fleas and be a fleabag. You fleabag. Life was simpler back then, in many ways. Even by the time you got to secondary school there weren't any fleabags. Maybe the proximity of GCSEs focused the mind sufficiently to give everyone a gung-ho attitude to the fact that the new people sitting around you may well have fleas? Maybe everyone gets sprayed with a giant invisible can of flea spray? Maybe everyone just grows up? Although I think that last one is highly unlikely. Life was more straightforward back then. At my school there were two fleabags. That I knew of, at least. Which is worrying in itself. I could have been right next to a mega fleabag and not even known it and have the fleas. But I doubt it because fleabags are very easy to spot. Unkempt. Smelt a bit like old milk or hutches. Lived on the Bexhill Road estate, basically. Life was more brutal then. Yes, there was a massive element of discrimination and snobbery to it. But in our defence we all agreed that they were fleabags and I'm pretty sure one of them actually did have fleas. That snorkel parka of his certainly had any amount of life forms other than him inside it. And let's face it, it does children good to be wary of getting fleas, especially at a time when AIDS had just gotten started. We all knew fleas was just a gateway to the worse stuff. And the link between the fleas and the AIDS was pretty obvious - the spray from the invisible can was 100% effective at curing both conditions. Life was better back then. I long for a return to those days. I don't care about your job, your prospects, your income, your creed, colour or kin. Dancing around the deep psychological complexities of individual people, balancing the elements of positive or negative. It's exhausting and not for me. Just tell me if you've got fleas or not. Hell, I'll decide it for myself. I'm not worried because I've got double super flea immunity, no comebacks.